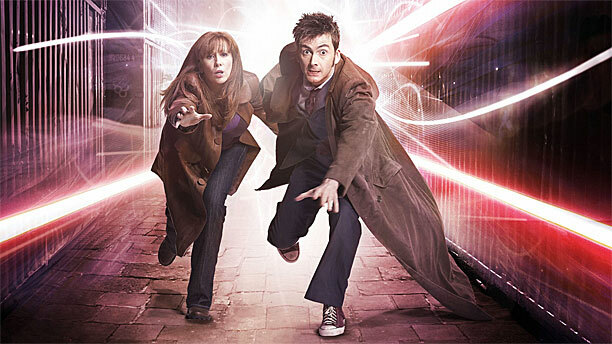 David Tennant and Catherine Tate are returning as the 10th Doctor and his companion Donna Noble in three new audio adventures for the website Big Finish. With Doctor Who – The Tenth Doctor Adventures: Technophobia by Matt Fitton, Doctor Who – The Tenth Doctor Adventures: Time Reaver by Jenny T Colgan, and finally Doctor Who – The Tenth Doctor Adventures: Death and the Queen by James Goss, Doctor fans will have a set of amazing adventures ahead. Tennant and Tate are not the only returning actors for Big Finish though. Alex Kingston’s River Song and John Hurt‘s War Doctor will also be featured in Big Finish. The 10th Doctor’s adventures will be available for purchase in May 2016 with pre-orders being taken now. It also will be available in a limited 5’000 copy release of Doctor Who: The Tenth Doctor Adventures Volume 1 – Limited Edition set.